Picked up in Luz-Saint-Sauveur. 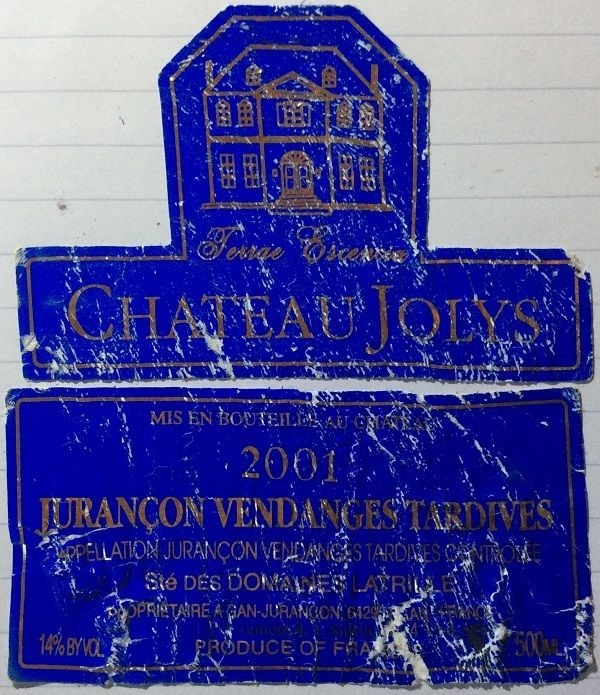 Château Jolys is another renowned Jurançon estate, and this 50cl showed that quality very well. Deep, burnished gold, almost copper. Rich aromatics, and good concentration. Sweet, but balanced. Good with the blue cheese and assorted chocolates for dessert. Sadly, I don’t have more detailed notes to jog my addled memory more than that, but definitively good!